We are halfway through the summer but hopefully you have some beach time carved out over the next few weekends. I wanted to share this beach style look with you. 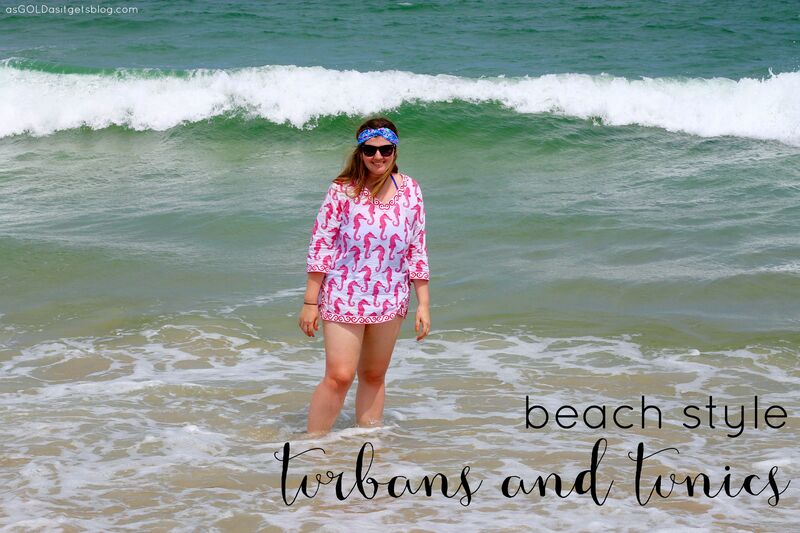 It was one of my faves on vacation – turbans and tunics. This turban was one of my most coveted items from Lilly for Target and it matches so many of my blue bathing suits perfectly. I scooped this tunic up and its perfect for the beach. I wouldn’t recommend it as a tunic to be worn with pants because its pretty sheer and honestly is a little longer than I would wear as a shirt, but PERFECT as a coverup. Categories: Good Looks | Tags: beach vacation, ecoaccents, lilly for target, lilly pulitzer, summer, vacation | Permalink.